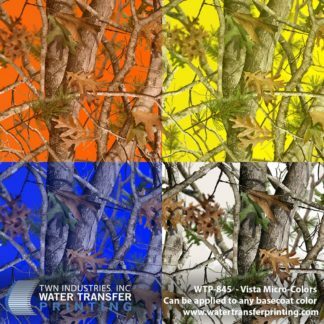 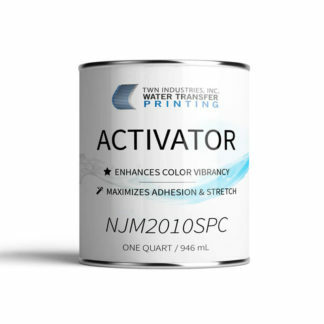 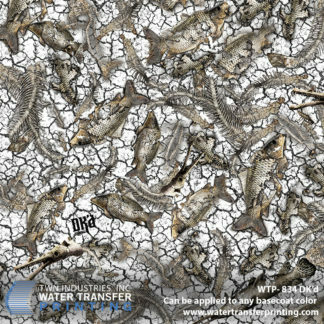 Toad-A-Flage™ is a unique camouflage Water Transfer Printing film that was designed to mimic a very effective camouflage found in nature: amphibian skin. 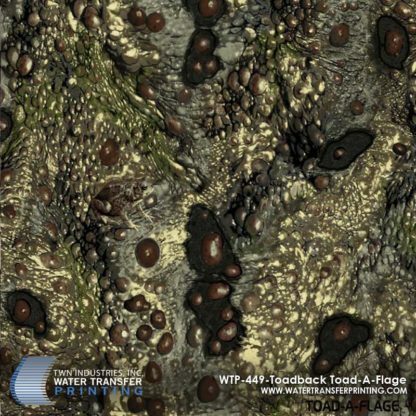 Toad-A-Flage™ by Toadbak, Inc. is a unique take on camouflage because it uses dynamic mimicry to blend in with the environment instead of using elements that are found in each environment. 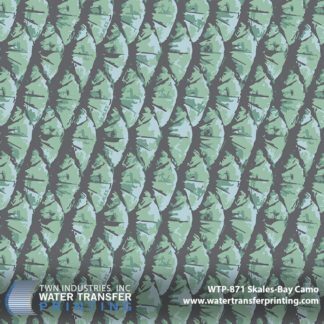 Toads use mimicry camouflage to survive in their respective environments, Toad-A-Flage™ is no different. 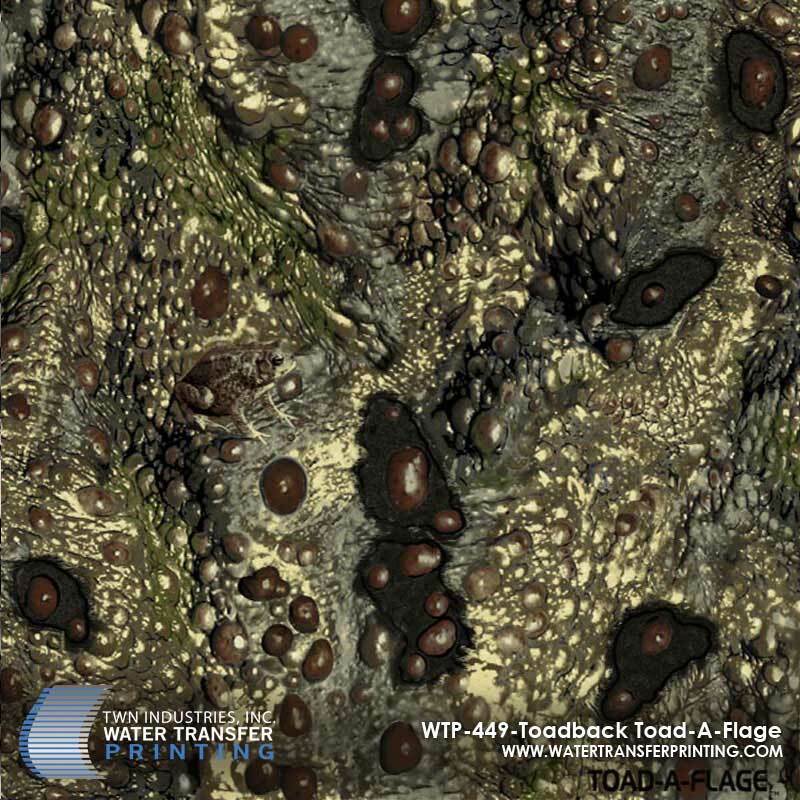 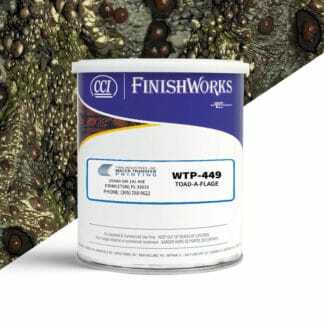 Toad-A-Flage™ features varied shades of brown that blend well in wooded or open environments.